Maria del Rocio Villasenor, M.D. Maria del Rocio Villasenor M.D. is a Board Certified Family Medicine physician. Dr. Villasenor graduated from Channel Islands High School here in Oxnard and then went on to Stanford where she received a BS in Biological Sciences. She then did breast cancer research at UCLA and got her medical degree at the University of CA, Los Angeles, David Geffen School of Medicine. She completed her residency and fellowship in high risk obstetrics at the Ventura Family Medicine Residency Program which is the number one Family Medicine Residency in the nation and is affiliated with the David Geffen School of Medicine at UCLA. 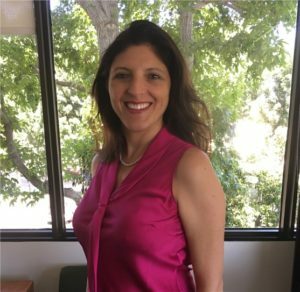 After completion of residency she was part of the Faculty at the Ventura Family Residency Program where she served on the admission committee and was involved in curriculum development. She has practiced in a variety of settings and joined Rose Avenue Family Medical Group in 2016. Dr. Villasenor strives to give compassionate, personalized, and thorough care. She is fluent in Spanish. She enjoys traveling, cooking, gardening, playing with her cat and spending time with friends and family.